World Today News: In court, Renault CEO says "falsely accused and detained unfairly"
In court, Renault CEO says "falsely accused and detained unfairly"
Dressed in a dark suit, he looked emaciated. He arrived cuffed, a rope tied around his waist. 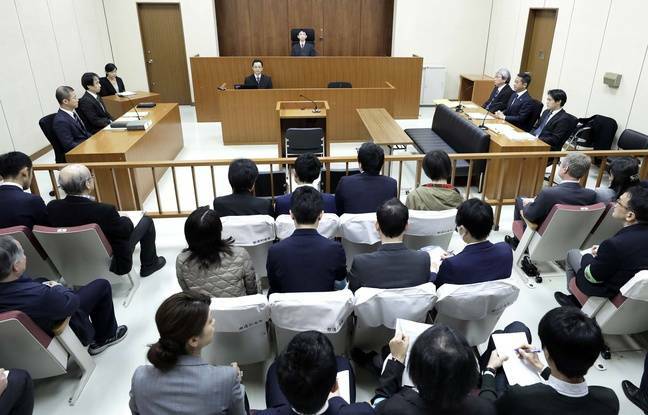 For his first appearance in court since his arrest for alleged financial malpractices, Carlos Ghosn said he was "falsely accused and detained unfairly." And the boss of the Renault-Nissan alliance assured that he had acted "with the approval of the leaders" of the group. The judge justified his continued detention by a risk of flight. "I have been wrongly accused and unfairly detained on meritless and unsubstantiated charges"
Carlos Ghosn was indicted on December 10 for concealment to the stock market authorities of a portion of his income earned at Nissan: about 5 billion yen (38 million euros) over five years, from 2010 to 2015. At the Following this first detention, he was the subject of a new arrest warrant for a similar reduction in emoluments, but this time between 2015 and 2018, then a third, for breach of trust. He is notably accused of making transfers from a Nissan account for the benefit of a Saudi friend. He himself denies any wrongdoing. In the early hours of the morning, a long line had formed before the tribunal. More than a thousand people waited in the cold to try to get one of the rare places: only 14 tickets were allocated by lot to members of the public, to attend the appearance of the famous defendant. The French ambassador to Japan, Laurent Pic, was to be present "in the context of consular protection," according to a spokesman for the embassy. Just like that of Lebanon and the Brazilian consul, according to the NHK public television channel. The procedure is rare, only 0.6% of inmates made such a request last year. It has almost no chance to change the course of events but the symbolic significance is strong for Carlos Ghosn, who has an opportunity to break the media silence in which he has been walled for several weeks.